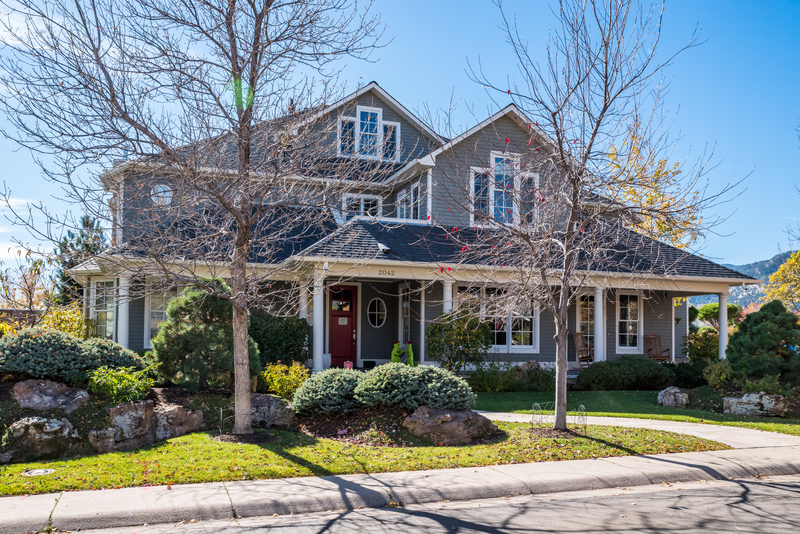 Three story dream home on coveted street in central Boulder. Gourmet kitchen, master suite with fireplace and terrace, south facing yard. Views of the Flatirons. 6,500 square feet. Five bedrooms and five baths. Over 1,000 square feet of outdoor porch and patio space! 9,200 square foot lot. Three car garage. In the Hillcrest neighborhood of central Boulder, an easy walk to the Ideal Market Shops or the excitement of East Pearl Street. Quiet street filled with bikes and scooters!